Do you like dipping your brush into inkier hues? Does that dark café make you want to go back for its eerie appeal? If the darker shades comfort you and you find them warm and accentuating, then the trick is to go bold and dare to go dark! Start with the interiors! Bring the real change in the air of your home with one step at a time. How about changing the background with some black curtains? Bring Some Black: You have it in your wardrobe, then why not bring more of it in your home too? The moment you will bring some black it will uplift the space. Whether you want to give a finishing touch to a room corner or a new look to an old chair, the magic of black will never fail. 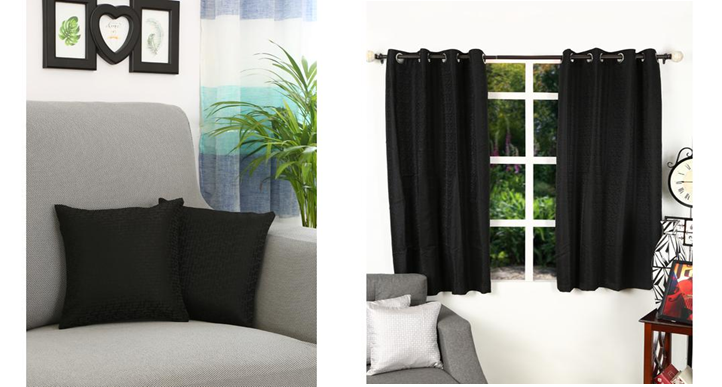 How about those black curtains for the living room window or pair of black cushions for the old sofa? The minute you choose to darken the space, the magic will start to happen there. Add Some Gold: As you go dark, don’t forget to light up with some gold. The gilded hue can instantly add to the oomph factor, giving a luxe appeal. 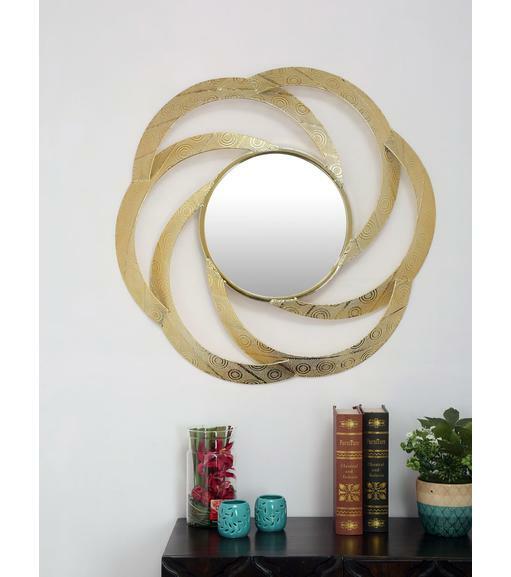 How about a decorative golden mirror? But restrain to one such piece in the room, don’t overdo it. The idea is only to sprinkle the Midas touch. Get such floral and contemporary mirrors from here. An Inky Infusion: Want to create visual interest on that plain, white wall or enliven the room corner? Well, bring an inky infusion to play. Wall art in dark green and dark blue will immediately make the wall focal to the room. Likewise, add oodles of interest to that room corner with dark colour showpiece, an easy way of exploring dark décor. 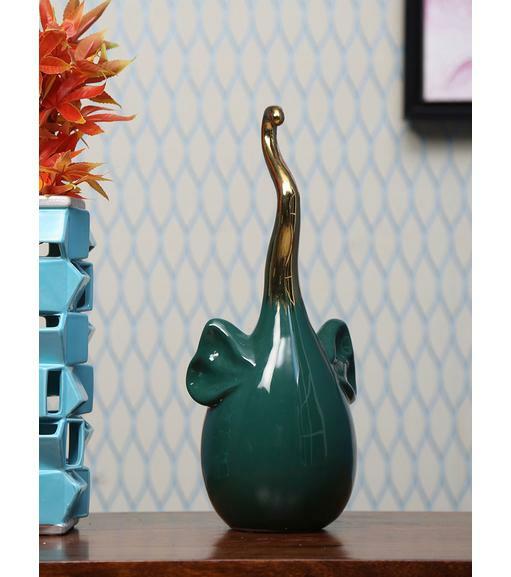 See how beautifully this emerald showpiece brightens up the dull background. Make light walls speak volumes with such dark masterpieces from here. Dark Furnishing and Furniture: Longing to create that cosy vibe in your bedroom? Then, go dark. Bring a bed in shades of either dark brown or dark black and see how it suddenly changes the vibe. Dark furniture and furnishings are true game changers. Hesitant? Then, start with the furnishings. You can change them anytime. 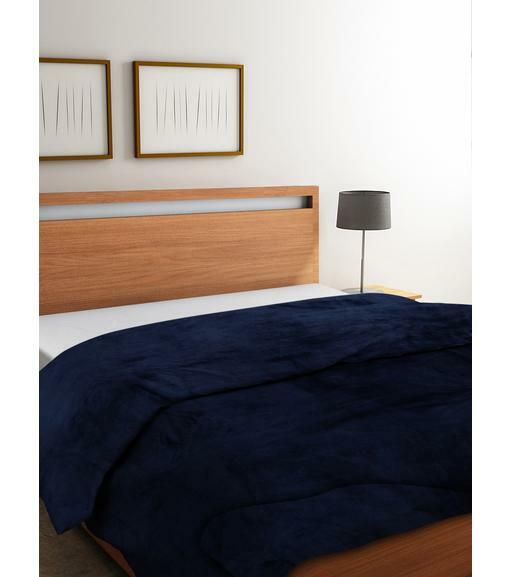 How about this indigo blanket from @home? Set a Dramatic Platform: Dark décor can instantly give a dramatic effect to a place. How about achieving such a look with lights? Who says lights have to have a traditional lamp shade? You can set the stage with a fusion of dark colours. 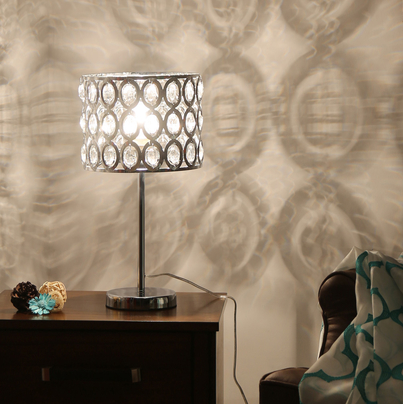 This ornate crystal lamp can give a vivid and intense appeal. Get such mood lighting pieces from @home. We love to see our customers designing their homes with our products. If the dark side is on your mind, then use the above tricks to get it right. Go for it! 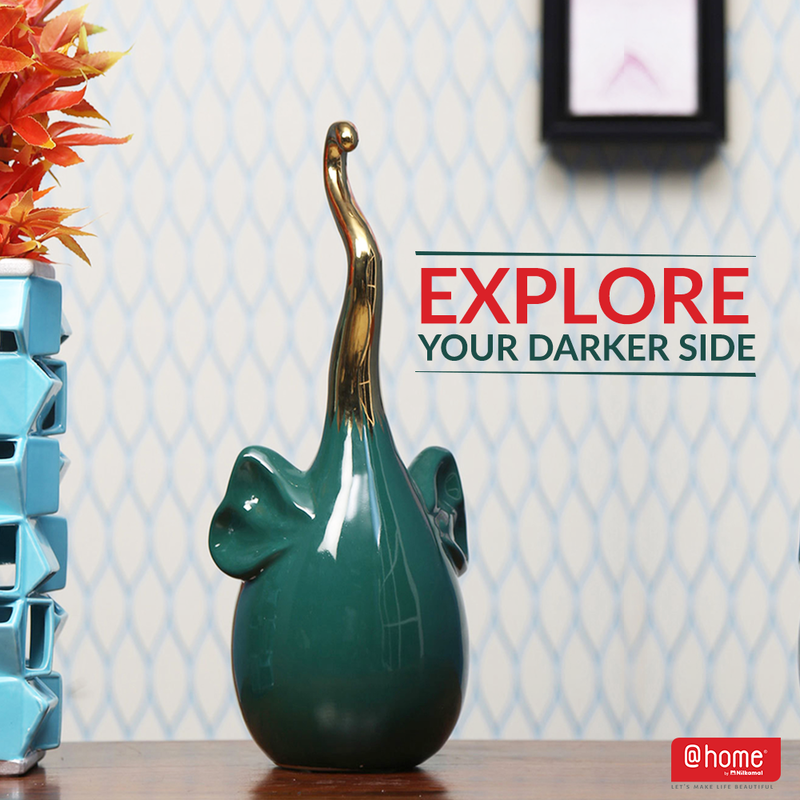 Dare and go dark with @home!